J&S Auto Care Specialists is the leading automotive repair service provider in Southeastern Wisconsin and Northern Illinois. 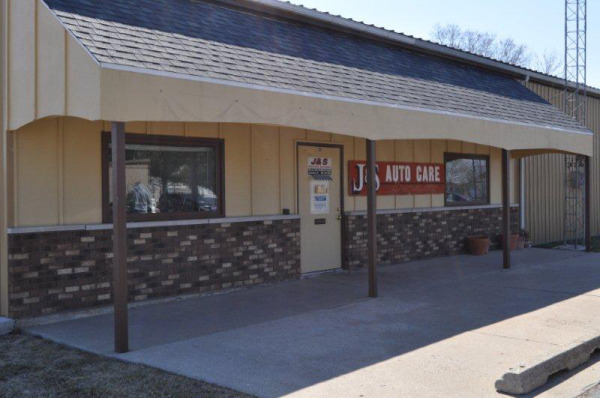 J&S Auto Care’s is located on the East side of Janesville which conveniently services Rock, Jefferson and Walworth Counties. J & S Auto Care can service your Honda, Toyota, Kia, Hyundai, Subaru, GM, Ford, Dodge, and Chrysler. J & S Auto Care also services most imports, domestic cars and light-duty trucks providing you with the most affordable trusted service. J&S Auto Care’s certified auto technicians excel in automotive repairs for all makes and models of cars, light-duty trucks, and company fleet vehicles. From oil changes, tire rotations, tune-ups and engine replacements, brakes, shocks or struts, wheel bearings to tires. We also do complete exhaust systems. J & S Auto Care is a certified air conditioning repair shop. J&S Auto Care can handle all your auto air conditioning needs. J & S Auto Care is conveniently located in Janesville, for all of Rock County, Milton, and Edgerton. J & S Auto technicians have the technology to make your vehicle run smoothly. Automotive Repair and Service conveniently located in Janesville to service Rock, Jefferson, and Walworth County. J & S Auto care carries quality name brand parts for your vehicle. Some of the brands we carry include; Motorcraft, Mopar, A/C Delco, Toyota and Honda Subaru. J & S Auto Care can replace your exhaust with Walker Exhaust. We install quality Moog parts for your front end needs as well as Wagner Brake pads, calipers, and master cylinders. J & S Auto Care can install quality Engines and Transmissions from Jasper Engines which come with a 3 year or 100,000 mile warranty. J & S Auto Care can install a new transfer case for your 4 Wheel Drive Pick-up. J&S Auto Care is fully staffed with certified auto technicians providing quality auto repair and service for fleet and personal vehicles. Let the professionals at J & S Auto Care take care of all your automotive needs. J & S Auto Care can repair your power windows and door locks, wipers and relays, heating and air conditioning, or your check engine light. J&S Auto Care in Janesville provides automotive services essential for your vehicle to perform at its best. Let our technicians perform computer Diagnostics so you can get the best fuel mileage possible. Regular maintenance will ensure less break downs and a longer running trustworthy vehicle. From Engine tune ups, oil changes, Engine repair or replacement, computer diagnostics, fuel injector cleaning or replacement, Steering & Suspension, to cooling system repair- our friendly Janesville experts can do it all for you! Contact J&S Auto Care at 608-758-2886 to speak to an auto repair expert ready to assist you with any auto repair service.